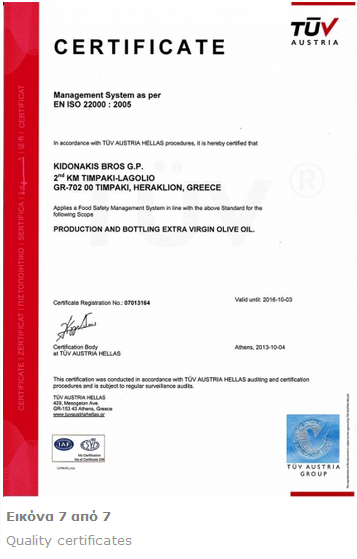 The company KYDONAKIS BROS G.P. 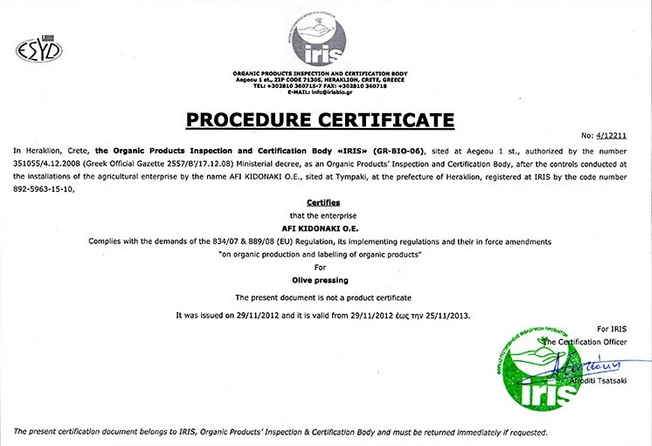 is currently operating in owned up-to-date ISO 22000 HACCP certified premises covering 8000 s.m, with state-of-the-art machinery and a fully equipped packaging unit. Our daily success depends on our people; young Kydonakis family people, having new ideas and visions, aiming at better promoting our products in Greece and abroad. 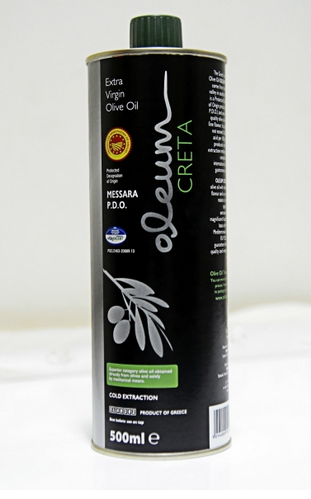 The Greek, Extra Virgin Olive Oil ΟLEUM CRETA comes from the Messara valley in southern Crete it is a Protected Destination of Origin product ( Messara P.D.O. ) 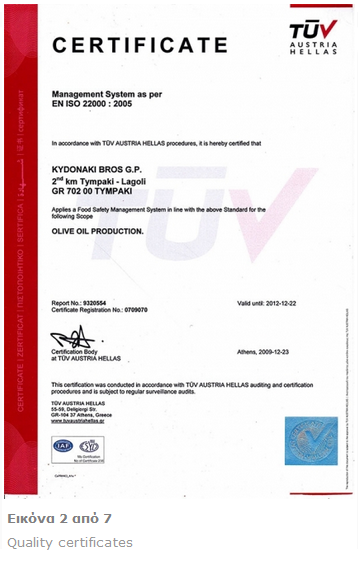 and is one of the top quality olive oils with very fine flavour, acidity that does not exceed 0.3% of oleic acid per 100 grams, produced with the cold extraction method and fully complying with the international health and gastronomy standards. 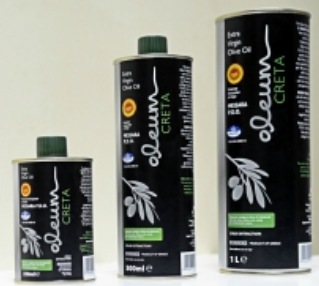 OLEUM CRETA is an oil with intense fruity flavour and a perfume that makes it unique and special! 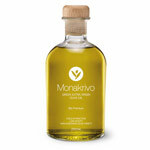 Importing companies of Olive oil or foodstuff (Greek or not), Distributors, Supermarkets, Delicatessen stores, Hotels, Restaurants, Organic products stores, Companies in wholesale.